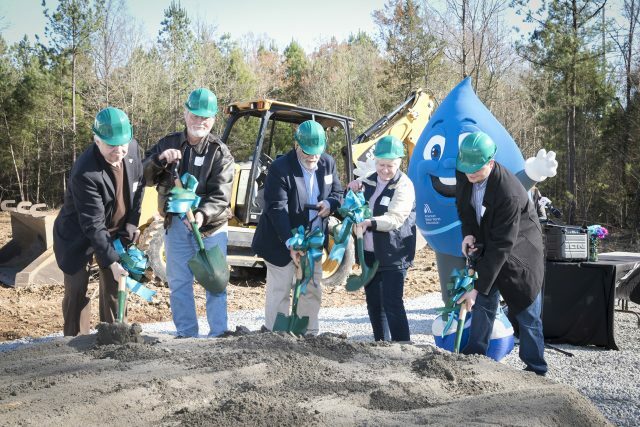 Home | Chapin WWTP Project Breaks Ground! 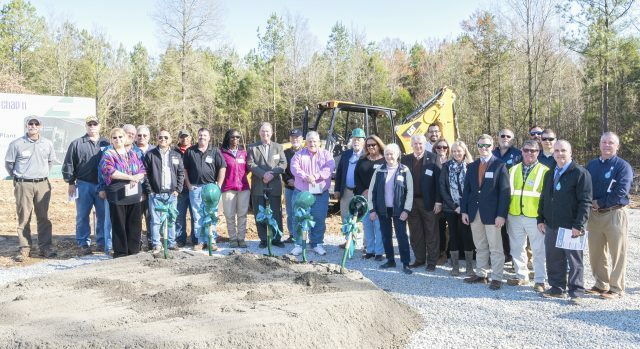 M. B. Kahn hosted a groundbreaking ceremony on March 7th to kickstart our greenfield construction project for the Town of Chapin’s new 2.4 MGD Wastewater Treatment Plant. Remarks were given by Mayor David Knight, Councilman Al Koon, Project Manager Kevin Strickland (Hussey Gay Bell), and Project Manager Eddie Wise (M. B. Kahn). 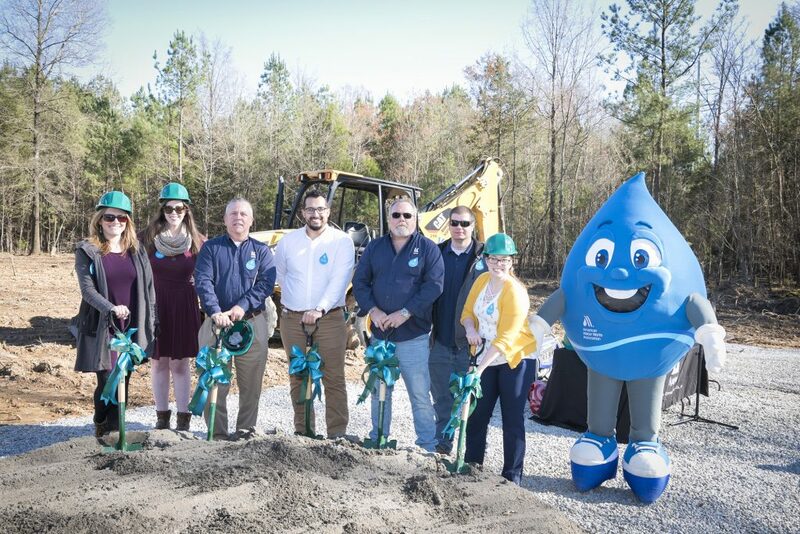 Over 40 people attended the event, including several local media representatives and ‘Eddy,’ the American Water Works Association (AWWA) water drop mascot! Significant new features of this project include a headworks facility, primary clarifier, splitter box, and a drain pump station. Construction will require over 450 tons of reinforcing steel and 5,000 cubic yards of concrete, 50% for the new aeration basin. 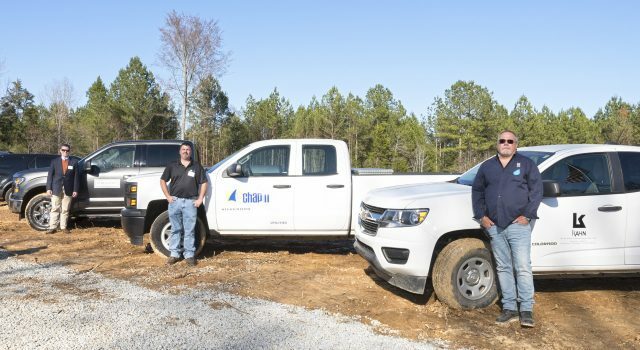 Chapin’s current lagoon system is rated for 1.2 MGD, and this new plant will double their daily flow capacity. Completion is expected in mid-2019.